Did Jobs second guess himself on Apple's TV potential? Apple has been working towards its TV ambitions for more than a decade now, ever since it launched the original Apple TV in 2007. However, a new anecdote from technology journalist Nick Bilton makes clear just how unsure the company has been in the past about its goals with television. Bilton recalls a meeting with Steve Jobs in 2010. During the encounter, Jobs backtracked on his previous claim that TV was going to be a core business for Apple. Things have certainly changed! “At the time, I was a cub reporter at The New York Times, but given that I covered Apple, I was invited to attend the event, which included a hands-on demo and a private Q&A session with Steve Jobs. About halfway through the demo, I asked Jobs a somewhat impertinent question—one that was wholly unrelated to the iPad, but which is entirely relevant today. ‘In 2007, you unveiled the Apple TV, and while you were sitting on stage, you described Apple’s core businesses as a three-legged stool,’ I said to Jobs. ‘You said you hoped Apple TV would be the fourth leg of that stool. Yet, three years later, Apple TV sales are paltry. Did you get it wrong?’ Jobs dismissively denied—in front of the top editors at the paper—that he had ever said that. 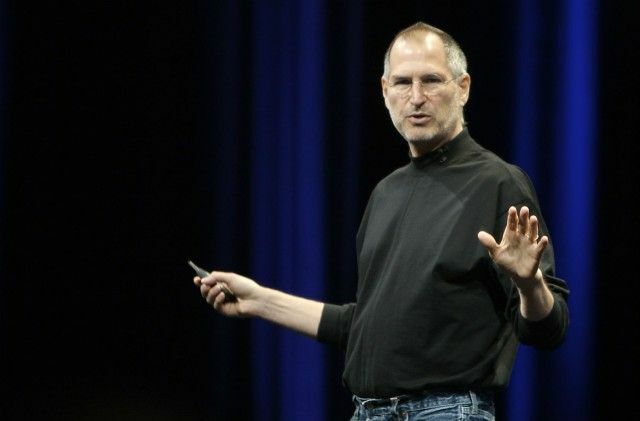 Rumors that Apple was going to launch its own TV set were sparked by Jobs’ biography. As part of it, he told Walter Isaacson that he had finally cracked the problem of the perfect TV interface. But Apple never launched such a TV. Since then, its television ambitions have gradually broadened under Tim Cook. We’ve had reinventions of the Apple TV, including its current 4K iteration. But it seems that, finally, 12 years after Jobs talked about television being a core business for Apple, it’s actually happening. Whether it can deliver on its promise remains to be seen. Are you optimistic that Apple can make a success of its television ambitions? Let us know your thoughts in the comments below.